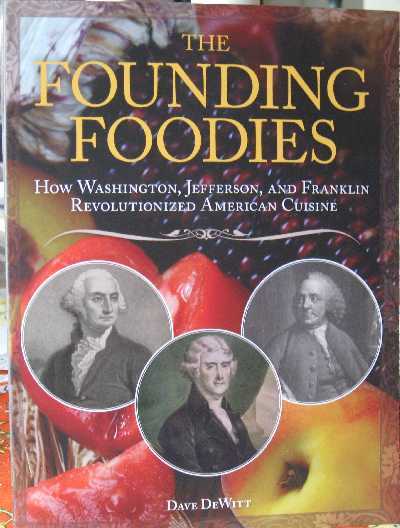 Because I wrote about the Founding Gardeners by Andrea Wulf here, a friend just sent me The Founding Foodies: How Washington, Jefferson and Franklin Revolutionized American Cuisine. I was fascinated at the way that Wulf described how the agricultural techniques of the Founding Fathers reflected their politcal and philosophical views. I should not have been surprised that men who spent so much time in their gardens and thinking about their garden and their land would also have thought a lot about the food on their plates. I have barely opened this book but I am looking forward to the chapter titled Bombastic Barbecues, Presidential Palates and Scurrilous Scandals, and even to the less excitingly titled chapter Food and Wine at Monticello. The book also includes recipes like George Washington’s Beer, Martha Washington’s Fruitcake, Thomas Jefferson’s ice cream and a Yard of Flannel, a variation on the rum flip served at Fraunces Tavern where Washington made his farewell address. If I can tear myself away from the book, I’ll try some of them out. Carl Linnaeus – Happy Birthday! Oh Pat, do you know the Laura Simon book, Dear Mr. Jefferson? 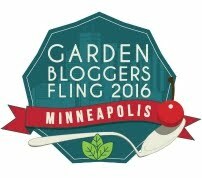 It is my most favorite gardening book ever. I own the tapes which I’ve listened to probably 6 times, and I bought the print version. It is so, so wonderful. Lisa – I think it looks pretty good. A couple of interesting recipes for sure. Nan – Yes! I do own Dear Mr. Jefferson and I love it. I have never listened to it. I should see about that. Layanee – We all have to eat, founders or followers.